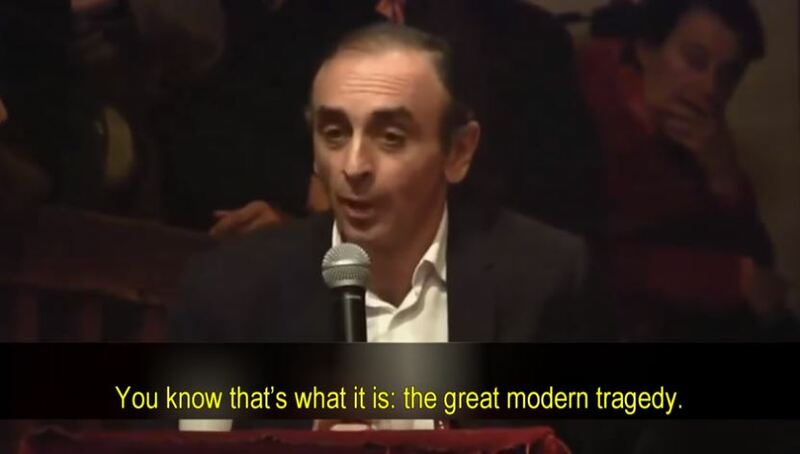 Courtesy of Vlad Tepes: Eric Zemmour part I,II, III: “We are being played for idiots”…. – The Tundra Tabloids……. Courtesy of Vlad Tepes: Eric Zemmour part I,II, III: “We are being played for idiots”…. Previous Post Previous Post J.E.Dyer at Liberty Unyielding: Apology isn’t enough: House Democrats must sanction Ilhan Omar……. Next Post Next Post GOP/DEM Bi-Partisan Border Deal a Dud…….